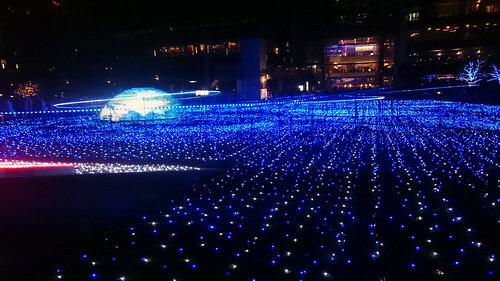 We walked – or shuffled – our way through this display on Christmas Eve after eating the most delicious traditional Japanese meal (11 courses! floor-level table with shoes off and sandals provided when you go to the bathroom! ceremonial sake! we ate fugu sashimi!) at a two-Michelin-star restaurant (Tokyo has more Michelin-starred restaurants than anywhere else in the world). 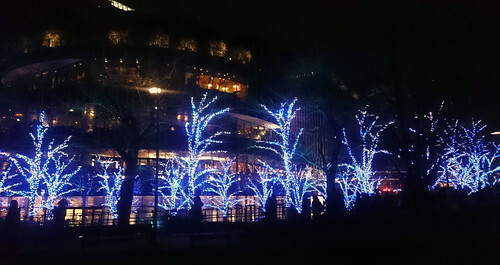 Thanks to the pretty lights and lack of religious connotations for most people here, Christmas Eve and Christmas Day are considered romantic in Tokyo, and very much a time for couples to go out for dates. It would have been rude not to comply! We ended Christmas Eve at a local neighbourhood bar where the staff didn’t speak English and we were the only Westerners, but we managed to order beer and sake and enjoy the drunken conviviality. Christmas Day was odd but lovely. We had booked tickets to the Ghibli Museum. As big Studio Ghibli fans, this was high on our list of things to do in Tokyo. You have to book ahead for this museum, which is a long tale filled with sighs, but we were finally there (after catching a brief glimpse of Mount Fuji from the train!). Ghibli is often called the Japanese Disney but in many ways it is the opposite. No photography is allowed inside to preserve the magic, and the gift shop is on the top floor, accessible only to museum guests. 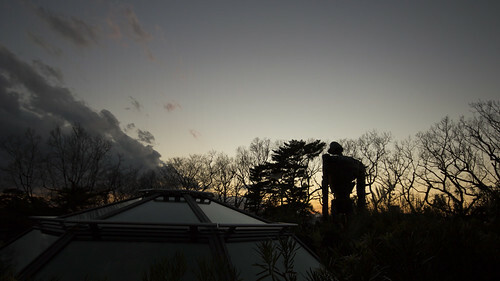 The one place in the complex where you can take photos is the roof garden, where a robot soldier from Laputa Castle in the Sky looks out on Inokashira Park and guests are encouraged to queue to have their photo taken with it. It’s a peaceful spot. After the museum we headed to Harajuku for a Christmas dinner of takoyaki (dough balls filled with octopus and veg). This was from a highly recommended street stall with a long queue (always a good sign) but bizarrely there was an outdoor lift to take you up to a tiny indoor seating area. While queuing we got to watch the takoyaki being made, which was fascinating. 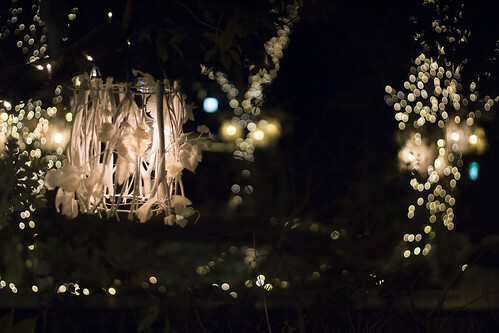 We then strolled down Omotesandō to enjoy more Christmas lights and look out for some of the legendary Harajuku fashion. Honestly, I think we needed to get off the big fancy avenue to see the latter, but it was still a nice way to end Christmas Day. Today, we are planning a Boxing Day cinema trip and generally having a bit of a rest before we head further in Countdown Week towards New Year. New Year’s Eve really is huge here, and we are still torn between many options for the day itself. I hope you had/are having a lovely Christmas. If time and Internet connection allow, I’ll be back with more tales from Tokyo! Japan sounds amazing, I’d love to go there someday!